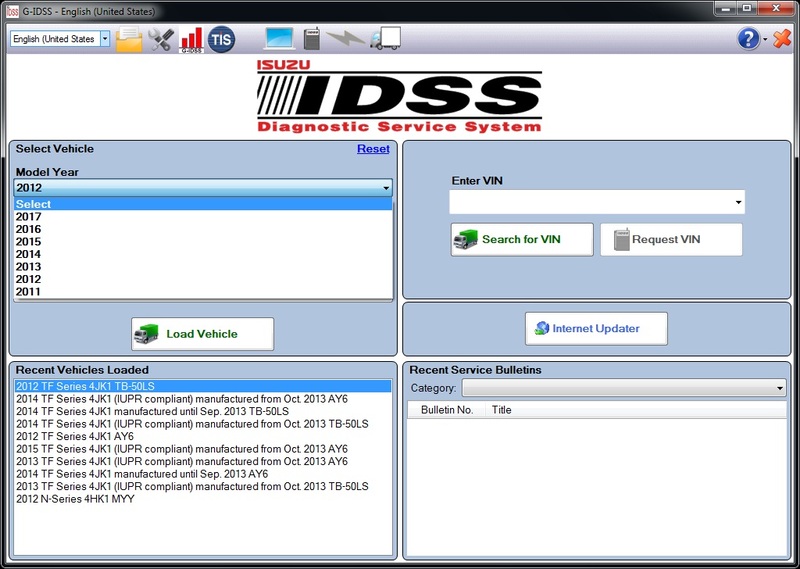 Global Isuzu Diagnostic Service System (G-IDSS) is designed to support Isuzu Commercial Vehicles. Vehicle / engine configurations and controller systems will be supported for future vehicles. Program supports Isuzu manufactured product models of 2007-2017 year. 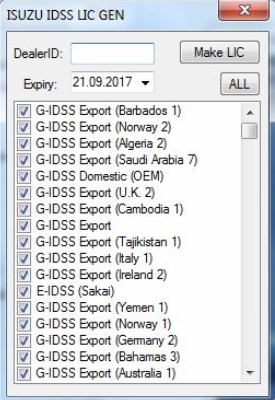 Export (all regions except Norht America) and Domestic. Supported languages: English, German, French, Spanish, Italian, Portuguese, Norsk, Dutch, Greek, Turkish, Chinese, Japanese, Vietnamese, Magyar.